I’ll repeat that if you haven’t yet read my About EDS post, please do so now to help make this post more understandable. It is seriously hard to do this topic justice in just one blog post. (Why I’m trying hard to write more off line, smile). Remember the six blind men and the elephant story? EDS is more like 60 blind men and the same elephant. Podiatrist, dentist, neurologist, cardiologist, allergist… the specialist list goes on! (We end up being medical “frequent flyers” alas, despite our best efforts to the contrary). So I’m only sharing a few ways to suspect it. There are almost unlimited symptoms ultimately, since being systemic it affects virtually every body system to some degree and in often unexpected ways. But we have to start somewhere, and this is my start. Others are welcome to do the same. And, not being a doctor, I can’t and don’t expect anyone to take me half as seriously as they probably should, if at all in some cases, thanks to all the misinformation and misunderstanding around this lousy connective tissue disorder. But if I can raise just one other person’s suspicions or “zebra-dar” if you will, much less a doctor’s along the way, I will have succeeded in my mission to bring a small shred of enlightenment to the medical world and hopefully reduce the time to diagnosis and related unnecessary suffering for a few of my fellow sufferers out there. First and foremost, as all my friends and family know well now, I personally believe ALL people with “fibromyalgia” likely have some form of EDS, most likely HEDS. Seriously. I really well and truly now believe that fibro is really just likely a lighter, usually “un-triggered” case of Hypermobile EDS (aka HEDS) based on all the complaints and descriptions I read from thousands of very vocal fibro patients on Facebook and Twitter. (And they’re a very vocal bunch as they struggle to be believed as I once did.) I personally experienced “fibro” since my 20’s (in the 1990’s) that I was not able to eliminate or improve while adhering to a modern working lifestyle all these years, and so just “sucked up” and carried on despite it as best I could. (Not always successfully). Further, all of the remedies fibro patients are finding to help alleviate their symptoms (including careful physical therapy, especially warm water therapy and nutritional work) are exactly what help EDS patients the most! Now either that’s one heck of a coincidence, or we’re on to something here. And, again, I’m not a doctor, BUT, I’ve personally yet to meet a fibro patient in real life who does not pass the brightonslide2013 (NOT just the Beighton 9 pt Hypermobility SCALE which is just PART OF the Brighton Diagnostic Criteria in a plot to confuse, sigh) for Hypermobile EDS (aka JHS, HMS, etc.). You could say we got “bright” in Brighton, England, and improved upon Professor Peter Beighton’s brilliant epidemimological field test for hypermobility which was never meant to diagnose EDS, and which misses a large percentage – some say up to 50% – of older EDS patients due to the misguided hyper-focus on the joints only. I can’t agree more with Dr. Jaime Bravo, a leading rheumatologist in Chile with whome I’ve corresponded who posits that Fibromyalgia is just a form of pain experienced by HEDS patients in his “When To Suspect” document he shared with me in 2012. He’s still using the older naming system, so it is called Joint Hypermobility Syndrome on his site here: http://www.reumatologia-dr-bravo.cl . However he also agrees that all these other forms called JHS, HMS etc. should all likely be called EDS III (aka HEDS), now too. I seriously struggle to silently watch while thousands of fibro patients struggle to control their logically wide-spread pain that isn’t aided by anti-inflammatories or pain meds, or not much, and describe experiences as bad and sometimes worse than my own with HEDS. (Some are also wheelchair bound like I was in 2012. From muscle and fascial tissue pain or a nerve disorder?? I don’t think so!) As one who experienced it up until my “storm” made my “fibromyalgia” feel like a cake-walk, I’d say it makes a lot of sense if you have a slightly loose skelly, but haven’t fully disclocated anything yet. (And no, thankfully few of you will ever have such a bad “storm” or “cascade” of EDS symptom onset, so please don’t needlessly worry, just be aware of your body’s symptoms at all times. That experience is blessedly rare). It seems to me that if all your connective tissues, muslces and fascia are struggling to hold your bones in place, they would naturally be prone to tender points or trigger points (either or both IMHO. Remember the six blind men and the elephant story). I’ve also yet to meet an EDS patient (zebra) who DOESN’T have some form of dysautonomia, most commonly Raynaud’s phenomenon, low blood pressure (though can sometimes spike or stay quite high), GI motility issues, poor temperature control etc. 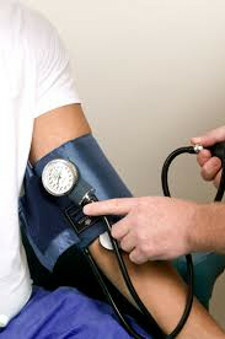 While a majority will tend to run low blood pressure, some will have the hyperadrenergic variant, and some can run quite high and struggle to stay down. Though one tell-tale sign of MCAD for me is anyone with high (or normal) BP who can get it to suddenly drop a lot (say 30 points or more) by eating known triggers. (One friend literally controls herWhen To Suspect high BP via oatmeal and bananas and chocolate – not a bad “prescription” if you ask me!) We can have any variation on this theme, including NMH, hyperadrenergic or HyperPOTS, etc. that you can imagine. Many experience syncope (fainting) and pre-syncope (dizzyness, light-headedness upon standing too quickly) from low blood volume and poor circulation. Others impinge their vagus nerves and throw up easily, or experience other GI dysmotility. Some can no longer fly in airplanes. Again, combine any of these with chronic pain, IBS, varicose or spider veins, hypermobility and any joint problems, and I strongly suspect you. I also suspect anyone who has sleeping problems ranging from the aforementioned trouble falling and staying asleep due to hyper-adrenergia (we often get a “second wind” around 9 pm that can keep you well up until 2 a.m.), to all forms of sleep apnea no matter how light or heavy the patient. (Toss in high pain levels, and we’re seriously doomed to be sleepless, sigh). Even thin EDS patients can have obstructive airway apnea from weak laryngeal tissues and tracheas, and lots of variations on a theme of dysautonomia as already mentioned, including Central Nervous System Apnea, sometimes requiring a form of breathing “pace-maker”. I literally had trouble remembering to breathe even in the daytime through my “storm” of 2012 – I only now know the term for this problem in yet again, 20/20 hindsight thanks to some fellow support group members. I suspect this was a by-product of some cranial-cervical settling that I’ve since overcome through nutrional work and re-strengthening, (thank God! I’m not sure all can.) Toss in any form of Mast Cell Activation Disorder (MCAD, wither Mastocytosis or MCAS) and allergies leaving us prone to waking from the cyclical histamine shed around 3 a.m. and no wonder we struggle with sleep! I’ve stopped waking since cleaning up my diet (going allergy and trigger-free) and taking some chlorpheniramine maleate at night (an old-school sedating anti-histamine that doesn’t leave me hung over). That said, I’ve met patients who are literally allergic to some anti-histamines, and others to the dyes and or fillers in a tablet or capsule, so you have to find what works for you in concert with your doctor. (I strongly urge seeing a naturopathic doctor if able). We are literally the most sensitive patients you can find to just about everything, with some common themes around salicylates and gluten sensitivity if not outright celiac disease. So no formulary will work for all! Meanwhile, call me Sleepless in Portland! But I digresss again. Anyway, combine poor sleep with low blood pressure, chronic pain and joint problems of any kind, and I’m willing to bet dark chocolate I have a zebra on my hands. I also suspect anyone who has early onset osteo-arthritis and any forms of auto-immune disorders, but especially ankylosing spondylitis (my dad and 2 aunts had this, and I have the factor for it) or multiple sclerosis. 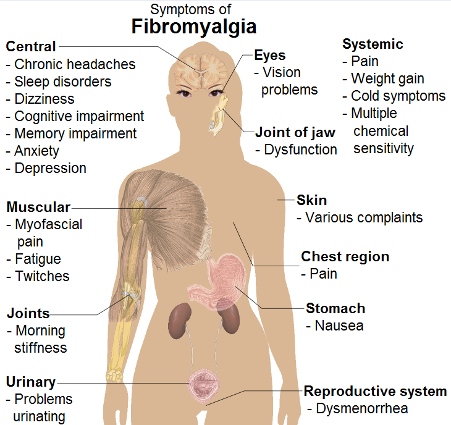 Don’t ask me why, but I’m now finding that much like with fibromyalgia, a large number of MS patients I meet in real life also show tell-tale signs of hypermobility and joint problems, and lots of food and drug sensitivities. Who knows why this is, but based on my learning from The Mastocytosis Society Conference in 2012, I presonally suspect a lot of MS is secondary due to demyelination from either (common) B12 or other nutrional deficiency issues, or mast cell actviation disorders (or both! ), since mast cells are known to “line” nerve fibers, if memory serves. (I’ll double check this, but feel free to let me know otherwise sooner, if you know accurately). I personally think that all the systemic inflammation we experience from either likely leaky gut syndrome, or just plain food allergies (got IBS?) and sensitivities or MCAD of any kind may lead to this. Again, I have no medical basis for saying this, it’s just my hunch and I welcome further exploration. But Dr. Diana Driscoll (fellow EDS patient and therapeutic optometrist) has been positing much the same theory on her great website for years now too. Along with the good folks at http://www.mastcellaware.com. Speaking of Irritable Bowel Syndrome, aka IBS, I also suspect most with it, as they likely have either high allergy levels, or some form of MCAD or both (like myself) as do most EDS patients. (Almost all EDS patients react badly to anesthetics, both from over-sensitivity, and over-processing – i.e, we need way higher levels of the “caines” – Novocaine, Lidocaine etc. – to feel any effect, and often get sick from general anesthesia, even days after an operation.) I really don’t think there’s any such thing as “just” IBS. I think it’s all some variation on the afore-mentioned themes of food allergies and sensitivities, and combined with some proclivity to dysmotility from impinged vagus nerves lending to some people’s high nausea rates, so I personally suspect anyone with IBS too. Especially if they also have fibro, natch, which a majority seem to have also! And especially if they have any form of diffuse joint pain or repeated joint problems or hypermobility. (Sensing a theme I hope). 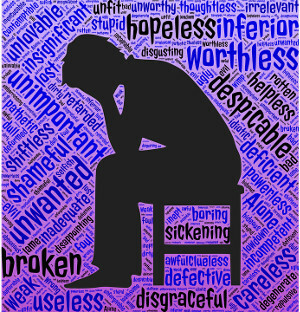 One of the most tragic and detrimental misunderstandings EDS patients face is being accused of being drug-seekers due to our chronic and often severe connective tissue, joint and muscle pain from so many micro-tears, subluxations and insults. (We also bruise easily, fwiw). We can suffer from any and all forms of arthritis, neuropathy, neuralgias, radiculopathies, CRPS or RSD and fibromyalgia. Alas, we look good “on paper” or scan, if you will, so doctors and nurses will often wrongly conclude we are just simply drug-seeking based on failure to see any gross joint or tendon displacements or tears, and sometimes even with them! Most minor subluxations will not show up on X-ray, and sometimes not even on MRI or CT even with contrast (to which many of us are allergic!) But let me tell you from experience they sure hurt like the dickens! Thus begins the cycle of doctor-shopping in order to find any practitioner willing to treat our very legitimate complaints and chronic pain, leading to patients often having a long “history” of discarded doctors behind them in their desperate searches for proper treatment and recognition. I feel extremely lucky: I sensed early on that whatever I had was too mild to be taken seriously, and so I simply got on with my life the best I could (and was lucky to be able to), finding my true friends along the way who could understand my inability to “come out and play” as an adult as much as everyone else. I also got a lot of counseling along the way that was validating, including some of the best I’ve ever experienced from Dr. Chino, one of the author’s of a great book I recommend: Validate Your Pain. It probably also helped that I asked for and attended a pain management class through my HMO over 7 years ago when I first suspected what I only knew as Hypermobility Syndrome at the time when I took out vertebrae T3-5 twisting while collating medical records of all things, not lifting, ironically. My great LMT at the time first helped me to suspect this after 3 different practitioners who were treating me at the time all independently called me very “plastic”, smile, and the description fit to a T, but my PCP wouldn’t let me see the geneticist yet. So I “sucked it up, buttercup” once again, got on with life, until my body demanded to be heard by falling copmletely and undeniably apart in early 2012 when you bet I needed some pain management! But as un-informed and short-sighted as my own doctor was for the last 15 years with me, my history with him helped him to know I certainly wasn’t lying when I promptly begged for an opiate to cope with my storm. (SI joint split on the right side, R leg subluxed, fingers, ribs and toes subluxed even in my sleep! Try a Blanket Booster if so.) I’m thrilled to report getting by with nothing stronger than Oxycodone for the most part leaving me with only occasional break-through pain, along with every flavor of non-opiate pain management possible: ice and heat, OTC meds (Tylenol and ibuprofen), a TENS unit, acupuncture, massage, Reiki, meditation, warm baths and water therapy, and my slow steady recovery via nutrition, especially increased Vitamin C, magnesium, calcium and zinc per my geneticist’s advice upon diagnosis. But I’m getting ahead of myself – I’ll share more on recovery techniques later. My point being, thankfully my long-doubting doctor knew me well enough to know and believe me when I did break down and beg for some pain medication, and also knew I wouldn’t abuse it (I never came close, and now take almost nothing unless I “bust a move” as I’m wont to do on occasion in my attempts to strengthen and have a bit of a life). Alas, not all are so”lucky” (or unlucky?) and are dismissed when they fall apart after many failed attempts to be believed. But others have much more serious radiculopathies, neuropathies and neuralgias from their joints being misaligned and impinging nerves almost anywhere in the body, including the spine and sternum (yes, you can sublux your ribs in front, trust me! and yes it hurts!!) Sciatica and chondromalacia of all kinds is common, along with costochondritis and herniations of all kinds, and every flavor of spine trouble and resulting pain you can imagine. (Spinal stenosis, spondylolisthesis, sciatica, bone spurs, you name it!) We just don’t hold together! Just because a practitioner cannot see this on a scan or x-ray at any given point does not mean the pain isn’t very very real, alas. I now believe many drug-addicted street kids and homeless people may be self-medicating undiagnosed zebras since meeting a few this last year. This is why I’m trying so hard to raise awareness for all – I believe we could save our medical (and possibly judicial) systems millions in misguided testing and needless patient suffering and doctor-shopping if we just suspected this condition much more often than we do. That said, I am the first person to discourage drug abuse. But, I’m also leading the way in recovery from what I’ve observed also. (I now take fewer than 6 pain pills of any kind – even OTC – per month, if even that sometimes, depending on how often I try to bust a move with the newly rebuilt body). Alas, this is apt to be an ongoing source of misunderstanding for too many for a long time to come, since pain doesn’t “glow”, so can only be reported subjectively. I assure you, no EDS patient I know wants to be on pain meds, nor seeks to get high. They just want their pain properly managed. (You don’t get high – and shouldn’t – if you are using opiates properly for pain management). Trust me, I’m thrilled to be able to manage with so little medication now. (I average a 3 on a 10 point pain scaleoverall, with a couple hot spots I might call a 6, and rare flare ups that drive me higher – and back to bed). I’m doing so on purpose, knowing full well things can flare at any time and I could suddenly need increased help, and so want to keep the “big guns” for only when I need them. But not all are so lucky, especially post-op in many cases. And they need to be heard. Not that it’s any excuse, but is it any wonder we lose patience with our mis-informed and sometimes short-sighted doctors when we’re suffering so? That said, we patients need to be as patient as possible while helping to bring our doctors and nurses with us on our diagnostic journeys as already stated in another post. It’s just very hard when you’re hitting a 9 on the pain scale. (I figure I’ll never self-report a 10, smile. I start bawling at 7 myself. Yes I’m a wimp, and proud of it). This last category is apt to be the most controversial, as most mental health patients and subclinical “auties” (autism spectrum patients – since we’re no longer allowed to call anything “Asperger’s” per the DSM V in 2014) are quite sensitive to the labels. Well, I’m sorry for your discomfort, but it’s emerging as an inescapable reality for virtually all EDS families in my observation on and offline in many support groups. My own perosnal experience and that of virtually every EDSer I know involves some level of depression, anxiety, codependency and any or all of the alphabet soup (OCD, ADHD, SPD, PDDNOS, etc.) that comes with being a subclinical high functioning autistic person, if not being outright clinical. (All zebras I know are related to or know someone on the spectrum, to my surprise, and the rest all battle the aforementioned alphabet soup until someone finally connects all those dots, if ever). Again, who knows why, but this is my personal observation of thousands of people and their behaviors and complaints online, including my own! (I battled severe depression through my 20’s). I now strongly suspect myself of being a “Hidden Aspie” in 20/20 hindsight since falling down THIS rabbit hole when a fellow zebra asked me about it 2 years ago. No, I’ll probably never get diagnosed – it’s much too costly and ineffective to attempt without a more “gross” presentation (again, so many are doomed to remain subclinical now, sigh). But all the tips and tricks for Aspies are working for me. Including strategies for coping with anxiety, stress, ADHD, etc. Along with seriously pathological codependency and narcissism IMHO. (You can tell a narcissist, you just can’t tell them much!) No wonder my parents were alcoholics, self-medicating trying to cope with so much pain and stress as I suspect in hindsight. But you absolutely cannot tell a narcissist anything about themselves, they will absolutely not want to hear it. (Mine sure didn’t). They will also often deny your reality, despite overwhelming evidence to the contrary. But denial (“de Nile”) is not a river in Egypt as we say in recovery circles with which I’m plenty familiar. And you don’t have to take my word for it. I’ll just keep observing everyone’s very black and white thinking patterns online, including, again, many in the medical profession. I think this definitely adds to the difficulty in getting EDS diagnosed – some narcissistc patients will not even see a doctor, others are doctors and nurses themselves (there’s a pretty high rate of EDSers in the medical profession, I’m finding, no surprise) and can’t see the forest for the trees right in front of them, alas. Again, being dialectic will help tremendously here, as everyone starts to just allow for the possibility that this comorbidity exists. (Again, why, I don’t know, but I have some personal theories I’ll share later! Some may even benefit greatly from dialectical behavioral therapy accordingly.) Meanwhile, autistic or not, I strongly suggest anyone battling anxiety and/or depression who is hypermobile (bendy) and experiences much pain at all look into EDS. Every zebra I’ve met in real life (IRL) exhibits fast thought and fast speech, high IQ (sometimes very), incredible creative talents (we’re some of the very best visual artists and musicians of all kinds out there, seriously!) We’re all very hard-charging, driven, often codependent, Type “A” high achievers – until our bodies betray us. (Trust me, I was one too!) And, EDSer or not, if you have these traits, you’ll definitely benefit from addressing the resulting issues. Your family will thank you! Remember, we’re really not that rare. So you’re definitely not alone! Again, these are all just my personal unprofessional theories on the matter. Please consult a knowledgeable doctor for your case, but bring them some of the latest info (see my About post) in case they aren’t up to date yet to help if you suspect yourself now. But the more I observe in the support groups online, the more my likely “Aspie” pattern-seeking brain manages to file away in yet more categories. I’m not evening covering all the ways in which I suspect people, just some of the more common. You’ll notice that in all cases, everyone has some signs of GI involvement, along with allergy or MCAD signs, hypermobility, mood disorders, fibromyalgia and most common of all: widespread, medically invisible pain of every kind. We’re also finding virtually every diagnosed EDS patient and suspect EDSer can exhibit flying bird hand sign to some degree. It seems that even the least flexible zebras (of which Dr. Bravo himself is one – he says not all are bendy even as children) can bend their fingers back at the palmar knuckle to varying degrees. I have to try hard not to laugh out loud as some people I share my suspicions with will flash me fantastically bendy bird hand signs while emphasizing that they are not hypermobile! But don’t take my word for it. Start looking around. We’re the ones with the early onset varicose and spider veins, stretch marks in both boys and girls even at young ages, even if never large or pregnant. Often myopic (but not always), with crowded teeth and fallen arches, hemorrhoids, hernias and tendonitis and bursitis of all kinds. We just gotta get our doctors to recognize that elephant in the room that everyone is touching, from the podiatrist to the neurosurgeon. May your journey be smooth and filled with understanding. The good news: though there’s technically no “cure” (being a genetic defect), there are some things we can do about it besides just sit and suffer! I’ll be sharing more on that later. Thanks Lulu – I’m glad you agree about my Fibro theory. But yes, strangely, you’re the exception. I think it’s because people have fought so long and so hard just to get even a fibromyalgia diagnosis, and it seems to fit “everything” they have (mildlly yet) so well, that they are understandably loathe to give it up. The other sticking point I see in person (because I’m dragging a leg and using a crutch) is they think: “oh, I’m not as bad as you, I am not visibly afflicted, so I cant’ have EDS”, which is so unfortunately mistaken. And b) they just simply have no idea what EDS is, and are so understandably burned out on people saying “have you thought about/tried X?” which have all turned out to be wrong. I know, I went through that experience myself years ago, so I just plain stopped talking about my complaints because I didn’t want yet another bit of unsolicited and misguided advice. I knew something was well and truly and deeply “wrong” with me (physically), but just didn’t know what. I’m strangely “lucky” that I became “visibly” afflicted and thus “clinical” enough to be recognized and diagnosed. I’m just trying desperately to get folks (doctors and our fellow reluctant and long-suffering patients) alike to connect the subclinical dots as you have. Glad you found me. Thanks for the encouragement! I will keep beating the fibro drum slowly but steadily with help from folks like you. I am hypermobile, have life long low blood pressure and many other symptoms of EDS (including blood pooling in legs and feet after showers, easy bruising, syncope and dizziness, chronic anxiety, IBS, sleep disorders and have just been diagnosed with Mast Cell Activation. Oddly though, I have very little pain (apart from horrendous headaches and get pain if I eat any of my trigger foods). Do you think this rules out EDS or do you think I may just be very lucky and not have much pain? Is there a test for EDS? I would like to get it done so that I know if my daughter is likely to have similar issues as my mother and grandmother all had these issues, although neither was ever diagnosed. I still strongly suspect you despite your lucky relative lack of pain Holly – I’m finding all variations on a theme of sensory processing disorder to be commonly comorbid with this. And while some of us (myself included) experience lots of pain, maybe even more than average, some of us experience little to none. My friend Nova is one of these – she discovered this after she started taking L-Arginine and suddenly felt ALL KINDS OF PAIN! So she stopped of course, cuz… ouch! We may all just be wired differently, and this is part of what makes it SO confusing for doctors: to some it just looks like party tricks, but for others, it’s a disabling painful condition. The rest smacks of comorbid MCAD of some kind generating some dysautonomia.